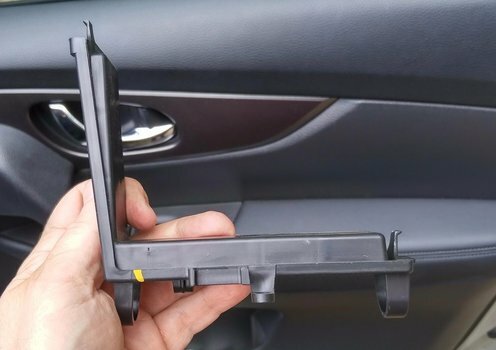 Learn how to change a 2014+ Nissan Rogue cabin air filter. The manufacturer's schedule says to replace it every 15,000 miles. This guide includes all the tools and parts needed to get the job done quickly. The job requires no special tools, just a new filter and a few minutes. 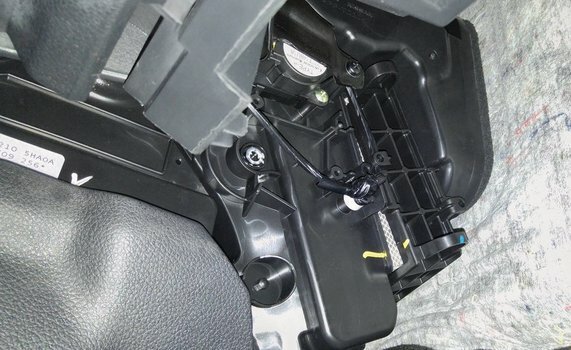 Locate and remove the Cabin Air Filter Cover. It easily removes by grabbing the plastic loop and sliding it down and to the right. Remove the old cabin air filter. It has soft, flexible sides that allows you to squeeze and squish it in order to remove it. Grab and pinch a side together and pull it out of the opening. Squeeze a new filter into the slot.